Home / Our Blog / Dove hunting season is just around the corner in Colorado. Here’s how to make sure you’re ready. Dove hunting season is just around the corner in Colorado. Here’s how to make sure you’re ready. When it comes to hunting, you don’t get ready — you stay ready. You spend time in the areas you hunt to not only understand the movements of animals and birds but to be familiar with the terrain. You make sure you have the right clothing, look at maps and work out so you’re physically ready. And one of the most important elements of being ready to hunt is being comfortable and confident with your shotgun, rifle or bow. With dove and pronghorn seasons just a few weeks away, Cory Kraft, vice president of marketing at Colorado Clays Shooting Park, joined me on my radio show Saturday to discuss how to best prepare. Personally, I believe dove hunting is a conspiracy started by shotgun ammunition manufacturers to increase sales. You understand if you’ve tried it. 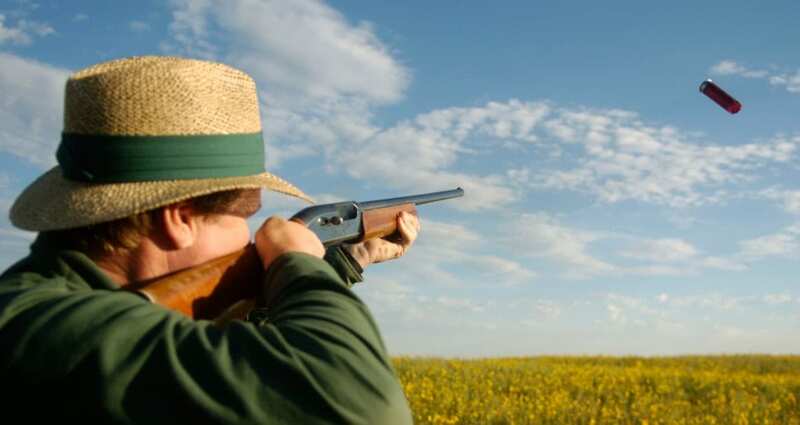 Dove hunting will challenge your shooting skills even if you do practice. Cory said the best way to prepare to hunt doves and other upland game is using a wobble trap, which is a variant of a standard trap. The main difference is that the wobble trap has a much more extreme target flight path than standard trap shooting (the trap oscillates up and down as well as side to side). It helps that it’s inexpensive to use, too. If you’re a big game hunter, Colorado Clays offers a state-of-the-art rifle range that includes a heated, semi-enclosed shooting canopy with 10 100-yard rifle lanes. The shooting canopy has natural ventilation and individual illuminated shooting stalls. The range is fully baffled, no blue sky, which allows the shooter to enjoy natural light and provides the ventilation. Each stall is equipped with sturdy shooting benches. An important note: Shooters can shoot prone, standing or sitting. It is amazing how the position you shoot from can change your trajectory. Muzzleloaders are also welcome. One tip: Practice shooting with the clothes you’ll wear when shooting in the field. Click here for more information on Colorado Clays follow this link. The shooting range hosts a number of fundraising events, including a July 28 “Shooting for a Cure.” Listen to my complete interview with Cory Kraft here. Originally posted at The Know Outdoors By Terry Wickstrom on Jul 17, 2018 .